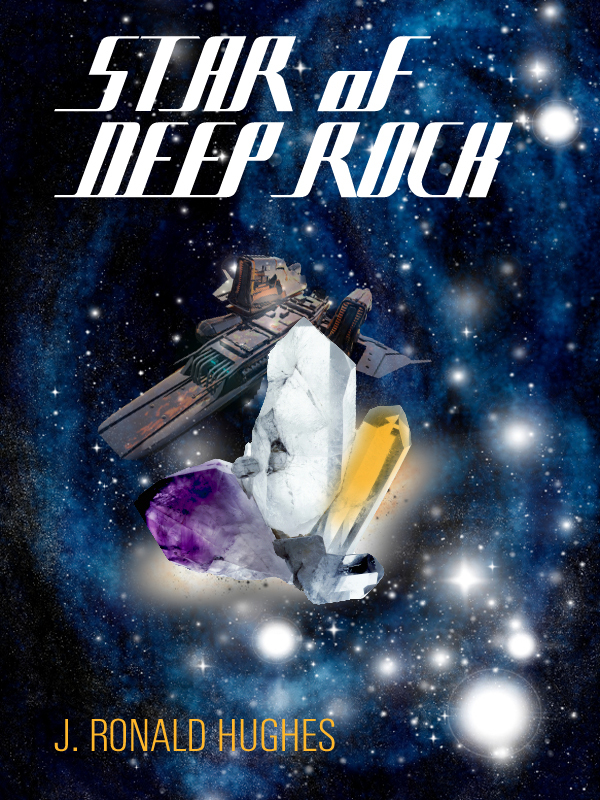 Star of deep rock is the story of matthew mahoney’s life beginning from the time he is kidnapped at the age of two until he returns to his family at the age of twenty two. matthew goes from being held as a prisoner by pirates, but trained by them as well, to a man of wealth, power, and respect. once released by the pirates he works his way to a partnership in a small salvage business. then using his inate business sence he builds the business to an enormous size while always remaining in search of information which might lead him to find some part or sign of his family. Along the way, matthew finds and returns the stolen property of a fellow prisoner from his captive days with the pirates. he becomes an adopted member of an alien race, as well as, part of the family of his former fellow captive. the finding of an ancient alien artifact, a strange alien ship, by an employee along with matthew’s accidental discovery of how to operate it are some of the many incredible thing to happen. The things the ship contains help him find more than wealth. the ship is also the thing, which allows him to find, as well as, return to what has been lost to him since the age of two, his family. In allmost all things Matthew is aided by the woman he finds means more to him than his life. You can purchase the book online from Smashwords in multiple eBook formats at http://www.smashwords.com/books/view/92665.